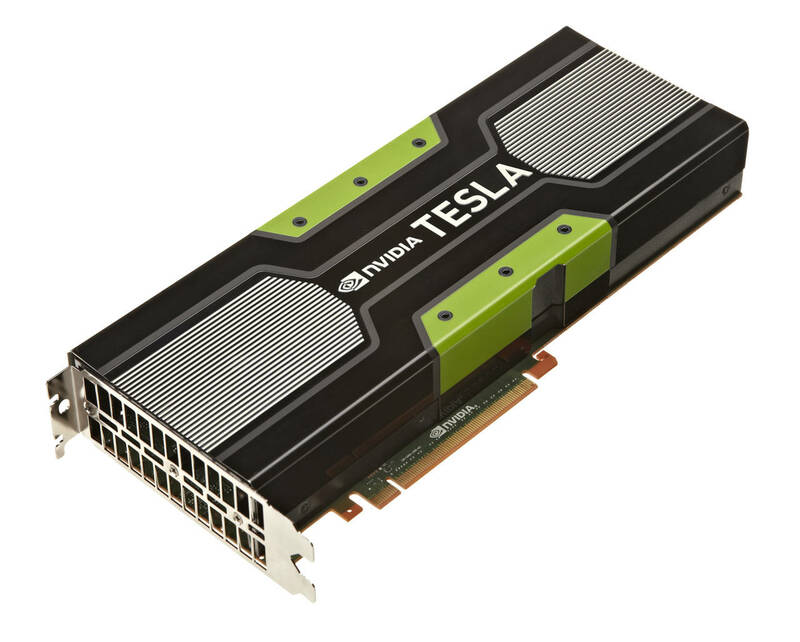 SC13 The battle of the big-memory GPU cards targeted at HPC and the data center is now well underway, with AMD having unveiled its FirePro S10000 12GB Edition card, and Nvidia announcing its 12GB Tesla K40 GPU accelerator card today. The 12GB of memory on the K40 is double that of its predecessor, the K20X, which is boosting the performance of 38 members of the Top500 supercomputers list that was announced on Monday morning at the SC13 supercomputing conference in Denver, Colorado. Referring to that memory boost, the general manager of Nvidia's Tesla wing, Sumit Gupta, told The Reg: "That obviously is the biggest benefit of this card," pointing out that doubling the memory expands the number of applications that can take advantage of GPU acceleration. The K40 has an additional performance-enhancing trick up its sleeve, one that Nvidia calls "GPU Boost". As its name implies, this capability can boost the GPU's clock if there's sufficient power headroom to accommodate it. If this sounds a lot like the "Turbo Boost" tech used in Intel CPUs, Gupta says that it is, but with differences. "It's a similar concept, but different in the sense that Turbo Boost opportunistically boosts one CPU core at a time, but GPU Boost boosts all 2,880 cores." According to Gupta, the reason that boosting all the cores in the K40's Kepler GK110B GPU at once is important is that doing so provides the user with the ability to control the consistency of performance when running enterprise data center or HPC workloads. "Every time you run an application, you want the same performance," he said, "and in every server node that you have, you want the same performance. That's very critical – if you're boosting, you boost all the GPUs to the same level." To accomplish this consistency, he said, the user controls when GPU Boost is enabled or disabled – it's not up to the GPUs. "The user says, 'Boost the following 100 cards in my data center'," he explained. And, as you might imagine, such boosting can be done dynamically with a command-line call. 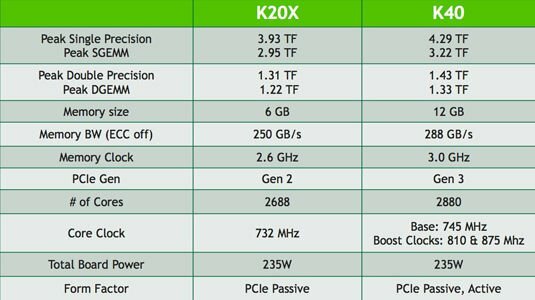 On the hardware side – in addition to doubling the memory – the K40 upgrades a number of specs from its K20X predecessor: core count and clock, memory bandwidth and clock, and its PCIe connection from Gen-2 to Gen-3. Despite the hardware upgrades, the card's power budget stays the same at 235W. 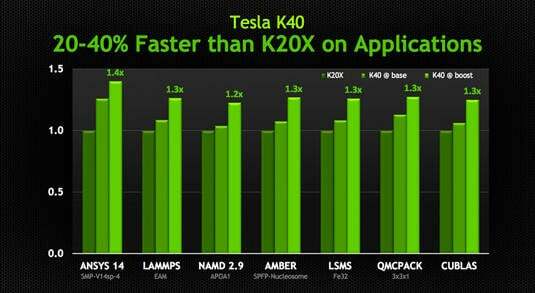 These enhancements help raise single-precision performance from the K20X's 3.93 to the K40's 4.25 teraflops, and double-precision from 1.31 to 1.43 teraflops. "It's the world's fastest accelerator targeted at supercomputing and big-data analytics," Gupta promised. "We already had the fastest with the K20X, but K40 comes in as our flagship new product."